1986 GMC S-15 V-6 91,000 mi. Driving along fine and all the sudden it stared sputtering like it was getting no fuel. Limped home and looked everything over and nothing seemed (to the eye) wrong. Replaced fuel filter, added an TBI repair kit and added sea-foam to tank. Nothing has seemed to help. Also, every time you restart the thing the radio keeps going back to 1400 am (no biggie, just thought that I'd throw it in). Aftermarket radio? 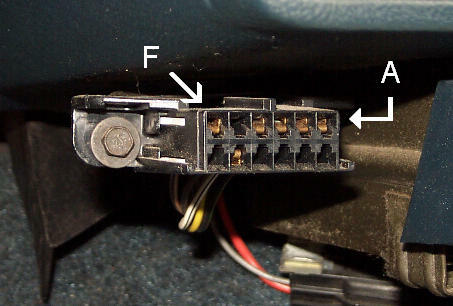 If aftermarket, the memory circuit may not be connected to battery hot. Does it have a misfire? If it has a misfire, which cylinder(s) is missing? What is the fuel pressure? You'll need adapters to plumb a fuel pressure test gauge. Factory everything. I don't know how to go about testing the fuel pressure. No misfire. Check engine is on. To see what fuel pressure is you have to put a gauge inline on the supply side of the fuel system before the throttle body. Most techs stick a gauge inline right after the fuel filter. If the check engine light is on, you can retrieve trouble codes via the check engine light. You have to jump A to B together in the diagnostic connector. You can use a paper clip or piece of jumper wire to do this. When you turn the ignition on the check engine light will flash the trouble codes starting with 12. They are two digit codes. Write down the numbers and let us know. Maybe the code(s) will give a clue. Sorry, late to catch this. There's a clue in the radio resetting that might lead to an answer. Wild guessing but you might have unseen bad battery connections. Side posts can rot long before on an '86 and second ones are old too if so. Seems you are losing all battery power and somehow get it back just enough to start and run somehow and said wild guess that it just doesn't have proper battery voltage to run properly?? I do appreciate that, but already thought about and checked and cleaned terminals and connectors. As far as the fuel pressure, it was spot on! Replaced pump and is now running, now I have to trouble shoot an high idle. Thank you guys!